The Georgia Veterans Memorial Cemetery (GVMC) at Milledgeville is located about 5 miles south of downtown Millegeville along Georgia Highway 112. The cemetery was established in 2001 on 142 acres that GDVS received from the Georgia Forestry Commission. The Georgia Veterans Memorial Cemetery has received a grant that will allow it to begin construction on an expansion. The Georgia Veterans Memorial Cemetery includes an administration/visitor center with a state-of-the-art information booth, a committal chapel, a carillon, and 12 columbarium shelters for cremations. Cemetery grounds include a six-acre lake and a three-acre, multi-tier walled ceremonial area available for use by veterans organizations on remembrance days, such as Memorial Day and Veterans Day. Phase II of the construction on the Georgia Veterans Memorial Cemetery was completed in May of 2011. It added 10 acres and approximately 1,300 casketed burial plots and 600 cremation plots in the cemetery. The cemetery will be the final resting place for more than 100,000 eligible veterans, their spouses, and eligible dependents. As of December 31, 2016, there were 2,928 veterans, spouses, and dependents buried at the GVMC. This includes 2,038 casketed burials, 512 cremations in the columbarium, 350 inground cremations, and 28 memorial markers. 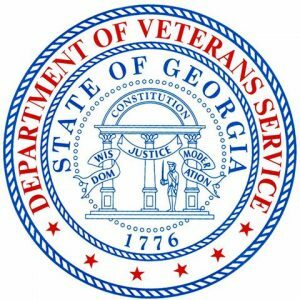 On July 11, 2017, the Georgia Department of Veterans Service issued a press release about the cemetery’s newest expansion. 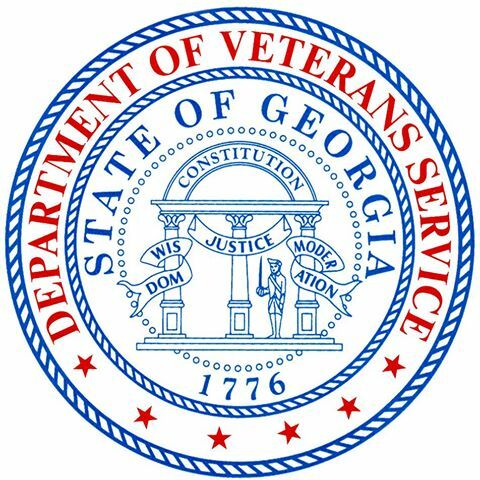 The Georgia Department of Veterans Services awarded a grant of $2,436,388 to the GVMC. The project will develop approximately 15 acres and serve 105,326 veterans and their families. The expansion will include the construction of 1,520 pre-placed crypts, 320 columbarium niches, roadways, landscaping, irrigations and supporting infrastructure. As of June 30, 2017, there are 3,081 veterans, spouses, and eligible dependents buried at GVMC. The burials are composed of 2,132 casketed burials, 533 cremations in the columbarium, 368 inground cremations, and 28 memorial markers. The GVMC is open 8:00 AM to 4:30 PM Monday through Friday (except on state holidays). Visiting hours are 8AM to dusk, daily. The cemetery has many visitors each year. Some are visiting grave sites, some seek information about burial requirements, and many have heard about GVMC and want to see the grounds. Based on this, it appears that GVMC might be a good place for genealogists to visit. If you don’t have family buried there, you might be able to help a fellow genealogist out by taking photos of gravestones and making notes of the graves that are adjacent to it.